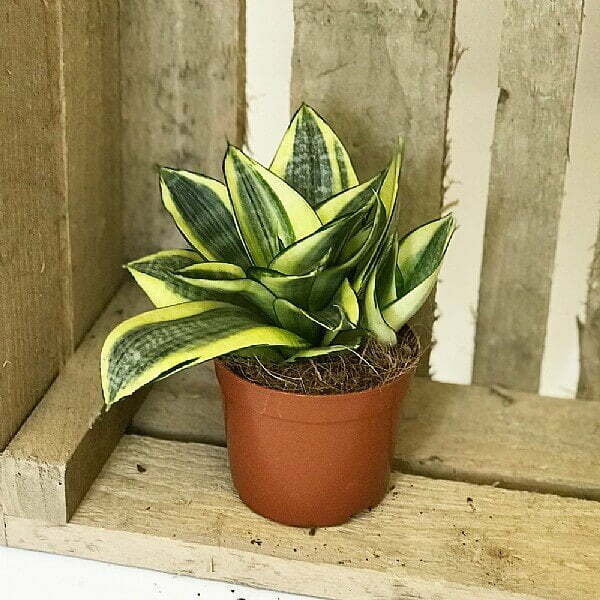 Sansevieria trifasciata Golden Hahnii is an evergreen herbaceous perennial indoor plant. It can up to 8 inches tall and its foliage is arranged in an attractive rosette, the leaves are darker green with a mix of marginal and internal creamy-yellow stripes of variable width and length which are parallel with the veins of the leaf. It also has a little bit of silver in the leaves. Blooms in summer or autumn with sweetly fragrant greenish-white flowers. 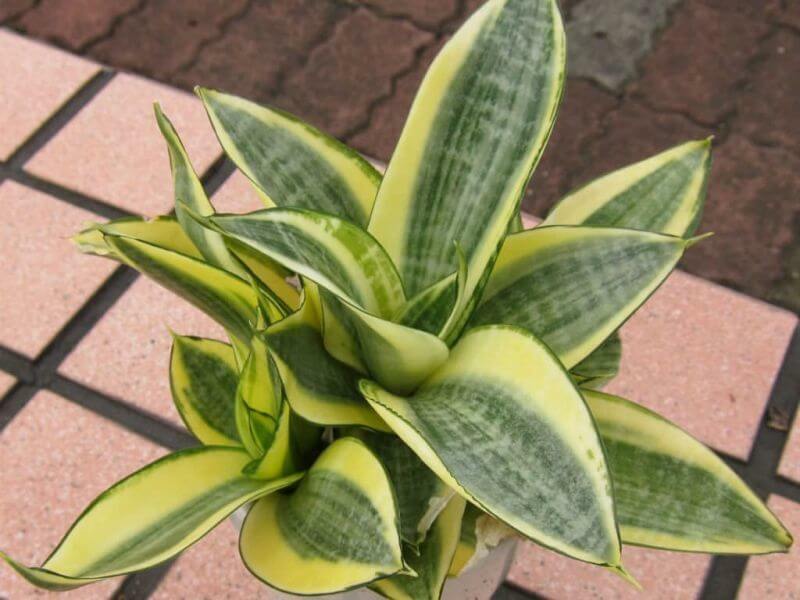 Birds Nest Snake Plant an excellent plant for purifying the air and removing toxins. Birds Nest Snake Plants are mildly toxic if eaten. Keep away from children and animals. Common Names: Birds Nest Snake Plant, Golden Bird’s Nest Sansevieria, Golden Hahnii.